(It’s clear there were still some questions about the bicycling anti-harassment ordinance and the new law continues to provide fodder for a media that isn’t interested in getting the facts straight. The City of Los Angeles recently enacted a law that may be viewed as the dawn of Cyclist Civil Rights—it’s a law designed to protect cyclists, and it provides civil remedies for cyclists who have been harassed by drivers. The new law, Los Angles Ordinance No. 181817, went into effect on Monday, September 5, 2011, and since its unanimous passing by the Los Angeles City Council in July 2011, and subsequent approval by sometimes-cyclist Mayor Villaraigosa shortly thereafter, it has been the topic of nationwide newspaper articles, radio talk shows, blog posts, and confused comments on the law’s enforcement and necessity. There may be some that are confused by the law, but whether you ride a bike or are a driver that sometimes succumbs to road rage, you’ll want to know how this law works and why it’s important. Why Was This Law Necessary? With this new law, the first of its kind in the nation, Los Angeles has taken a bold step in the protection of cyclists. Los Angeles City Council Transportation Chair Bill Rosendahl, who championed the law through the law’s drafting, the numerous committee hearings, the public comments, and ultimately the unanimous City Council approval, was fed up hearing stories of cyclists suffering unnecessary aggression on our roadways. He was also fed up hearing that only the rare or egregious case was actively pursued by our law enforcement officials. Acting on requests from various bike groups and bike activists, Rosendahl stepped up and requested the Los Angeles City Attorney to draft legislation to prevent this harassment and better protect cyclists. The new “Cyclist Anti-harassment Law,” as it has been called, is novel in its application to cyclists who the Legislature has recognized are legitimate road users whose responsible transportation choice should be encouraged—but are in need of additional protections because they are more vulnerable than those who choose to travel in several-thousand pound four-wheel metal boxes. The law has the potential to better ensure the safety of cyclists, and it provides education opportunities to raise the level of cyclist awareness, but let’s cut to the chase: the bottom line is that it gives cyclists the opportunity to pursue civil remedies against those who harass cyclists. This type of law—one that provides for a private right of action in civil courts of otherwise un- or under-enforced criminal laws— is not new; there are many federal, state, and local laws currently on the books that provide for similar enforcement measures, including the attorney fee-shifting measures contained in the new law. Some other laws that come to mind where legislators have enacted similar provisions on public policy grounds to encourage enforcement where law enforcement has been less-than-effective are civil rights laws (to prevent racial discrimination, employment discrimination, housing discrimination) and environmental statutes (like the Clean Water Act and California’s Proposition 65—the Safe Drinking Water and Toxic Enforcement Act) to name only a few. I’ve litigated some of these other laws, so I dismiss the arguments that the law is improperly unfair or one-sided. The time has come to finally recognize that cyclists need extra protection on our roadways, and they are a class of people whose rights have been historically violated and very infrequently enforced. This is the creation of Cyclist Civil Rights. What Does This Cyclist Anti-Harassment Law Actually Do? The question on the minds of many cyclists is “How does this new law work?” and “What should I do if I’m harassed?” and “What qualifies as harassment?” Drivers will also likely be interested in the application and enforcement of this new law, as mutual education benefits everyone as we are forced to share inadequately engineered roads that all too often are designed based on the sole principle of maximum vehicular throughput that overlooks other modes of transportation—often to their detriment. The hearings on the new law confirmed what many cyclists already knew—that cyclists have long been unrecognized and uncompensated victims of crimes regularly taking place on our roadways (i.e., Penal Code § 240 (assault), § 242 (battery), § 422 (criminal threats), § 245 (assault with a deadly weapon/car), California Vehicle Code § 23110(a) (throwing substances at cyclists), § 23103 and 23104 (reckless driving), § 21750 (passing with insufficient clearance)). In the past, an injured cyclist’s only realistic chance of receiving any compensation was possibly seeking criminal restitution as part of a criminal action (if one was filed and pursued, which they rarely are). But even if there was a criminal prosecution, even if the defendant was ordered to pay criminal restitution, that recovery is severely limited—criminal proceedings typically leave victims in the dark, victims are not typically made whole, and the realistic probability of pursuing a separate legal action is slim. The new law, however, allows cyclists to sue drivers in civil court and, if successful, obtain remedies that previously would have been very difficult if not impossible to obtain—even if a cyclist could find a lawyer willing to take what are often smaller dollar-value cases. To be clear, the law does not criminalize anything, and it does not add any new criminal laws to the books. It is merely a recognition that that criminal enforcement of harassment and battery laws that currently outlaw certain behavior is essentially non-existent given that LAPD and the City and District Attorneys are government agencies of limited resources (time and money), and Los Angeles is a city home to almost 3.8 million people. If a cyclist can establish legitimate harassment, the remedies allow for the cyclist to recover damages, attorneys’ fees, and punitive damages. Violators of the law shall be liable for treble the actual damages with regard to each and every such violation, or $1,000, whichever is greater, and shall be liable for reasonable attorneys’ fees and costs of litigation. In addition, a jury or court may award punitive damages where warranted. Thus, the law establishes a threshold minimum level of damages set at $1000—or three times the value of the actual damages suffered as a result of the incident, whichever is greater. As such, the cyclist need not suffer physical injuries or damages as a result of the harassment; the law sets the damages at a $1000 minimum. Where there are physical injuries and/or property damages, however, the amount is tripled, and the recoverable damages would be the greater of the tripled figure or $1000. Further, the law provides for the recovery of reasonable attorneys’ fees for successful litigants, which could add up to a significant amount in addition to the damage figure. What Types Of Harassment Does This Law Address? These are broad categories of prohibited activities for which the new law provides for a civil remedy. The law covers actions that are, on the one hand, patently egregious and should clearly be the subject of criminal enforcement (such as intentionally striking or attempting to strike a cyclist with either a vehicle or any object, a driver getting out of a vehicle and physically assaulting the cyclist) to, on the other hand, lesser-egregious actions that may seem less obviously harassing to non-cyclists but still have the potential to cause significant bodily injuries or unnecessary fear and anxiety to someone navigating roads on two wheels (such as a driver yelling “If you don’t get out of the way, I am going to run you over!” or “If you don’t get off the road, you’re going to be in deep #&%$!” or repeatedly honking the horn or aggressively revving the engine while following a cyclist in an attempt to threaten or scare the cyclist). Yelling verbal comments at a cyclist without an immediate threat of physical harm has the least probability of amounting to actionable harassment. In such a case, additional questions and the factual circumstances would need to be further evaluated to determine whether there is actionable harassment under the law, such as what was said and whether the cyclist suffered personal injuries as a direct result of the act. It’s important to remember that this new law does not provide a free pass to the courthouse for any cyclist who feels s/he has been the victim of harassment as some of the law’s critics have opined. To pursue a claim, a cyclist will still need a good case and sufficient driver/vehicle information (discussed below). And in a court of law, a cyclist/plaintiff would still bear the burden of proof to establish the harassment as a threshold matter before any damages/attorneys fees are awarded. Specific questions about actual incidents of harassment that may or may not be subject to either criminal enforcement and/or the new Cyclist Anti-Harassment Ordinance should be directed to an attorney who can properly evaluate the facts and the merits of a potential case and/or directed to LAPD to take a report and pursue an investigation. What Do I Do If I Feel I Was Harassed While Riding? What you should do if you feel you were harassed while biking depends on the level of harassment to which you were subjected. The first and most important thing you should do after any driver-on-cyclist incident is write down as much critical information as you can—license plate, vehicle make/model, vehicle color, description of the driver, date, time, location, and as much factual information about the incident as possible, including any witness information. Take photos if you can. You should be prepared to look around and find witnesses if nobody approaches you offering assistance. Witnesses can be very important. Oftentimes with harassment, the driver may not stop. If that’s the case, getting as much of the above information is critical to your case and may be all that you have to work with. If you only get a portion of the information, you and/or your attorney may be able to obtain further information from the DMV. The LAPD will generally not be of any assistance in providing driver information, unless there is clearly criminal behavior and/or physical injuries, and the LAPD opens an investigation. If the driver does stop, however, you should attempt to exchange all the information typically exchanged in a traffic collision, i.e., driver’s license number, address, phone numbers, insurance information. Likely, in a harassment situation, the driver may be unwilling to provide this information. If that’s the case, contact LAPD, who may be able to offer assistance and respond to the scene if necessary. If the driver flees without providing the required information, it may be classified as a “hit and run” and subjecting the driver to additional consequences, so do not hesitate to contact LAPD—but make sure you get license plate/vehicle information and driver description at a minimum. Do I Need A Police Report? As discussed, the new law provides for civil remedies and is wholly independent from any criminal charges that may or may not be investigated or pursued by law enforcement. So to pursue your own civil case, you do not need LAPD to respond to a harassment incident, and you do not need a police report. Police reports are essentially hearsay evidence of limited value in actual civil trials, but they can be helpful for documenting basic facts and obtaining driver information. Thus, if the facts even remotely appear to warrant it, contact LAPD to take a report. And if you suffered any type of physical injuries, call LAPD to make a police report. If the driver’s actions were particularly aggressive and/or potentially life-threatening, call LAPD to make a police report (in which case an appropriate criminal investigation may be opened). If you only suffered property/bike damage, LAPD will likely decline to make a report. It is a good idea after any traffic incident to seek the advice of a competent attorney. Your attorney has likely been through this before, knows what questions to ask, and will be your best source of information on whether you have a good case. Small claims cases proceed without attorneys, and there is nothing preventing you from choosing to file your own complaint and represent yourself in any civil matter, but that is generally not advisable. There are many good lawyers who would be happy to evaluate your situation. 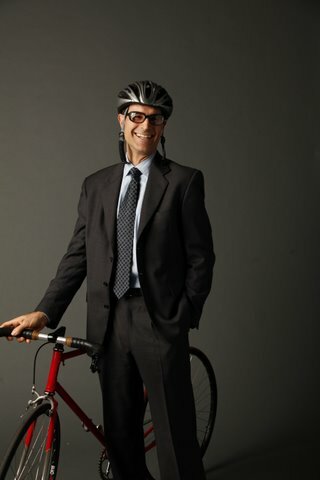 Ross H. Hirsch is an attorney who prefers to travel by bike. He is a litigator in California and a partner at the law firm of Castellon & Funderburk, LLP. He is regularly called on by cyclist advocacy organizations and injured cyclists to provide advice on bike policy issues and cyclist-vehicular interactions. Email contact: rhirsch@candffirm.com. © Ross H. Hirsch 2011. Licensed under a Creative Commons Attribution-NoDerivs 3.0 Unported License. Good to see this becoming law here in L.A. When will Gov. Brown find time to sign the 3 foot passing law? A big question I have: Where is the law applicable? Within the boundaries of LA city? County? If I get harassed in Pasadena will I still be covered? I just kept stones in my handlebar bag that I used to hit the back window of the cars of those that tried knocking me down or tried to scare me by bonking right behind me. Most of those drivers were onduty cops. Okay, that’s what I had thought. Thanks Elvi! I must admit, I thought LA would be the last place on earth….. very very progressive. We’re clearly way behind you here in Australia. Who’s gonna protect pedestrians from cyclists? Fantastic news … if you live in LA. When will this become federal, or at the very least, California state, law? I don’t see there being much argument to the sentiment that sidewalks should be for pedestrians to enjoy at the speed/pace that people walk without having the fear of being run into or having to move abruptly from any faster/larger moving object (i.e., bikes). Cyclists really shouldn’t be on the sidewalks, however, and I’d love to see our roadways designed so people didn’t feel as though they have to bike on the sidewalks to be “safe” (even though there are reports stating that it’s actually *less* safer ride on the sidewalks due to several factors). There’s a lot going on here in LA. Still a good distance to go, but things are certainly looking up. But have you been to Brisbane? I’ve heard great things about biking there, including for example, its bike share program. Rave reviews about that–even from non-cyclists. This is great, congrats to all the cyclists in LA. Now it is time for you folks to line yourselves out with a GoPro or Contour, or set up your phone to record and have at it. Get the license plate number and a good shot of the driver and let their actions do the rest. I can only imagine how quickly this could change the actions of the most egregious aggressive drivers here in SF. Today I am mildly jealous I don’t live in LA. When he feels like he no longer needs that big campaign contribution from the CAA. Ah yes, Orange County where @$$h0les abound in quantity. The mean IQ of road raging drivers seems to be slightly higher than shoe size. Terribly sorry about the “close family friend of a guy I work with.” My direct friend was murdered by a black man (that’s actually true, in my case). Suppose I also know two people who’ve been assaulted by black men. I would never use that logic to utter such an insipid phrase as: “Black men need to be held to the same standards as whites if they are to be recognized as legitimate citizens.” The point, Jessica, in case you missed it: your group-think bigotry is obscene and you need to work on it if you want to be a decent human being. There are bad and good motorists and cyclists (who are more often than not the same people). There’s no difference, except perhaps that the kill ratio is much, much higher for bad motorists, just by virtue of the damage one can do with an automobile relative to a 20lbs bike. Better planners and traffic engineers. Cyclists Gearing Up for Anti-Harassment Ordinance Hearing, Scheduled for Next Wed.